This picture gallery picks up where the Chapter 9 gallery left off. Again, the animals shown here represent key points in our ancestral evolution. It is impossible to know exactly which fossil species were our ancestors, so each image here should be construed with some degree of abstraction. Dates are very grossly rounded. These particular specimens are selected as basal embodiments of their clades, so they are known to be pretty closely related to our line of descent. 300 MYA: Synapsids are one of the three living lines of amniotes. They are distinguished from anapsids and diapsids (today’s reptiles and birds) by objective features like holes in the skull. Synapsids were originally reptile-like, but gradually evolved into mammals. 200 MYA: It is difficult to know for sure, but fur may have evolved in pre-mammalian cynodonts. 200 MYA: Mammals are recognizable in fossils dating back a little further than the 200 million year mark, based on skeletal definitions such as the teeth, jaws, and middle ear. 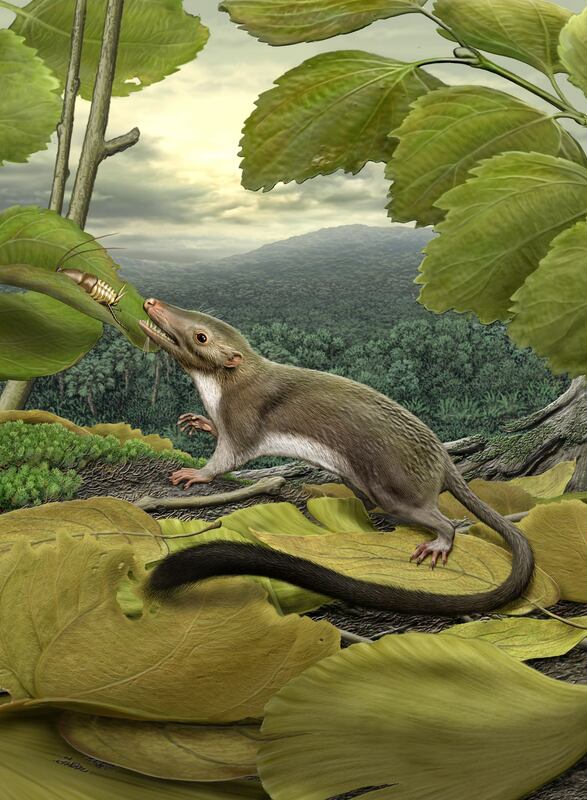 Mesozoic mammals were tiny, and they evolved very slowly. 150 MYA: Eutheria was a transitional form. The earliest eutheria laid eggs, but its descendants all give live birth today. 70 MYA: Primates emerged as part of the early Cenozoic mammal radiation. We are defined mostly by our grasping hands and forward-looking eyes. 50 MYA: Simians are active during the day. They have larger brains and more advanced social structures than earlier primates. Catarrhines in particular have opposable thumbs and human-like teeth, but for the long canines. The tail started to lose its function as a useful limb and gradually became weaker and shorter.